← Selling Your Steinway Piano? Looking for a new home for your Steinway Grand Piano? Get Top Dollar and Next Day Cash from Sonny’s Today! 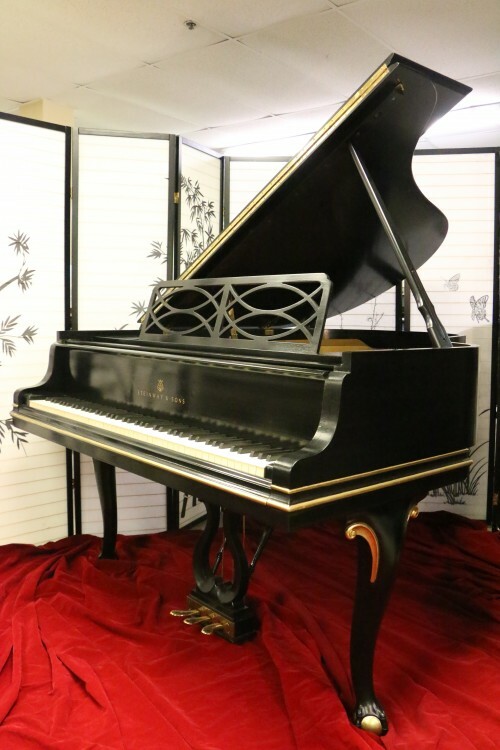 Beautiful Art Case Steinway Chippendale Style Model M 5’7” with “Ball & Claw” feet, Chippendale style legs, decorative music desk and pedal lyre. Just refinished satin ebony with hand pained gold trim, very rare to see one this color. One previous owner, all excellent condition Steinway Parts, new pins and strings just put on. Sublime classic Steinway M tone. Action just regulated, hammers voiced.